In Episode 19, we meet John Green. He’s the Captain of Company C in the 28th Pennsylvania Volunteer Infantry. Never heard of it? How about those crazy guys who dress up in accurate time period clothing and do battle reenactments? THAT’S John! Join us as we talk to him about what goes wrong, how he was recruited, and where you can find their next big battle. Since whiskey, ale, and water aren’t the best Drinks of the Day for us, we still tried to stay true to the time period of drinks. Enter Sioux City Sarsaparilla. It’s similar to a root beer taste, just make sure you drink it cold. There are several sources to find out more about the history and battles mentioned. Below is a list for your reference if any peaked your interest. The teacher in John would be thrilled to know if you did some research on your own! 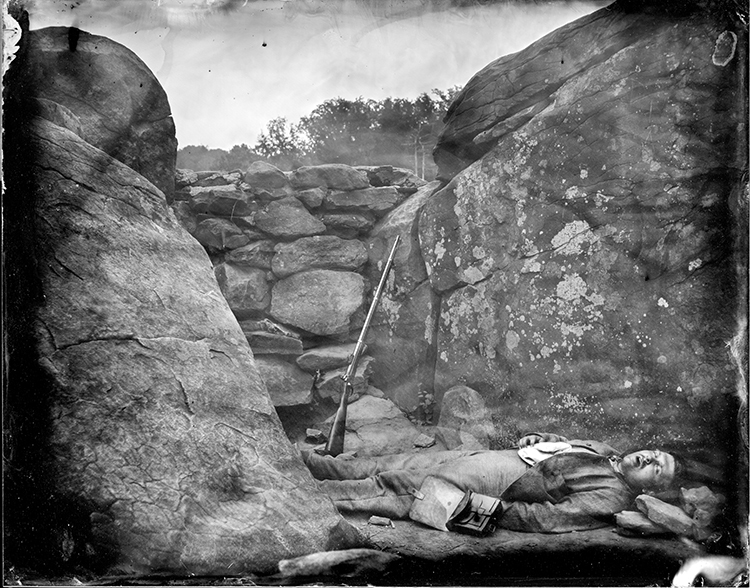 Tickets for the Gettysburg Reenactment can be found here. Price ranges from $35-90 for adults and $16-40 for kids depending on how many days you attend. You can find John’s Company here, on Facebook here, and the application for recruitment here. We’re not all Jeopardy experts at trivia, but these contestants sure failed in the football category. It’s a real thing people. The five-year-old was right: Abraham Lincoln’s last bowel movement is on display in the Gettysburg Dime Museum. Admission is $7, cash only. And if our random facts about bowel movements interest you, check out Survivor Winner Ben Driebergen’s advice on going to the bathroom in the ocean in Episode #12. Thanks for joining us on this Episode. Make sure you say “Hi!” to John if you make it up to Gettysburg!